With the success of the Colonial Marine BDU’s, it was only logical that we should look to complete all the fabric parts. So we had a play about and Helmet covers and radio pouches are now available. 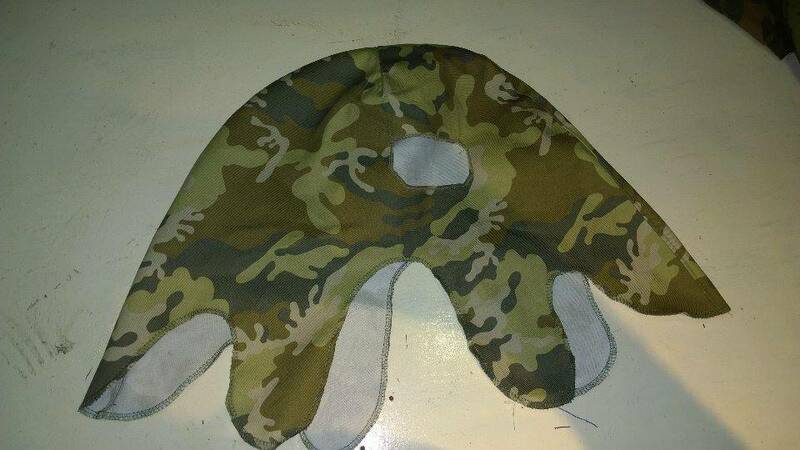 Made from the same 225gsm Cotton drill as the Colonial Marine BDU’s, this heavy weight cover has been designed specifically for the Marine Helmet (both steel and plastic types). Overlocked edges and the screen accurate cut out for the helmet camera (a feature that no others contain) are all standard issue on these covers. Note: You will need to cut the holes for your lobster plate straps and chinstrap, depending on where you’ve put them on your particular helmet. We can professionally button hole these for you to stop them fraying over time if you wish for an additional charge. Just mark them on where they sit in relation to your lid, return the cover to us and well do the rest. 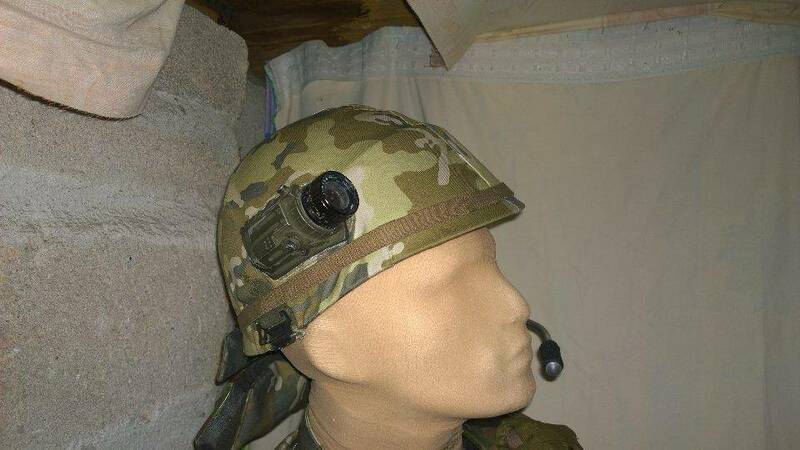 Helmet Cover – £35 plus shipping. Button Holing – £5 plus return post. This little seen part was included on some of the screen used suits to house the microphone recording equipment for the actors that had speaking roles. 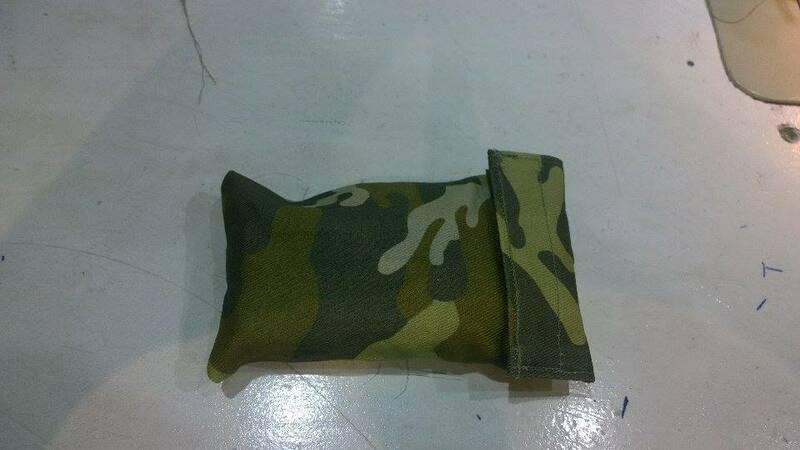 We make a functional pouch that can house a PMR Radio for those who wish to be that little more screen accurate, or have a working communications system in your helmet. 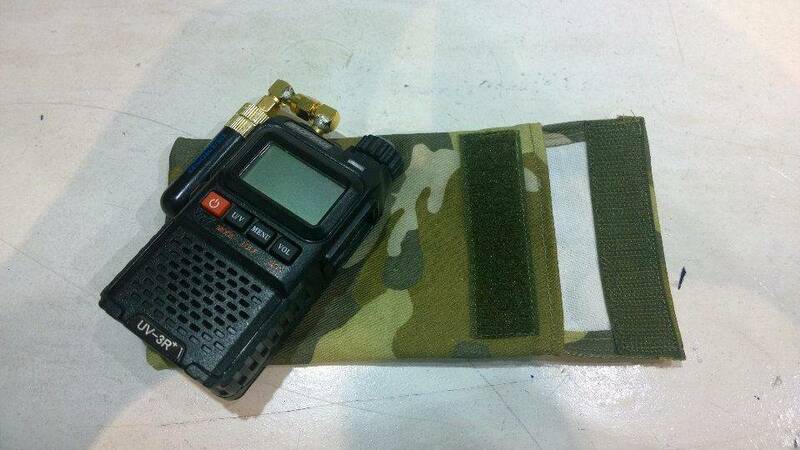 Nominally they are 14x9cm to fit under the lobster plates and can house most standard sized PMR’s, but they can be made to suit slightly different radios if yours is a bit of an oddball size. Just contact me and let me know.